Have you ever tried those yogurt dips by OIKOS? They are just so tasty, I love them! However, I noticed the ingredients? Most are not to bad, but it does contain sugar and I consume enough sugar, that I don’t want it in my dips, unless I am making a sweet dip. So I decided to make my own Roasted Red Pepper Yogurt Dip. Plus it is also cheaper to make your own! My dip has fewer calories, less carbs, less fat, less sodium and more protein then store-bought. Plus mine tastes better in my opinion. 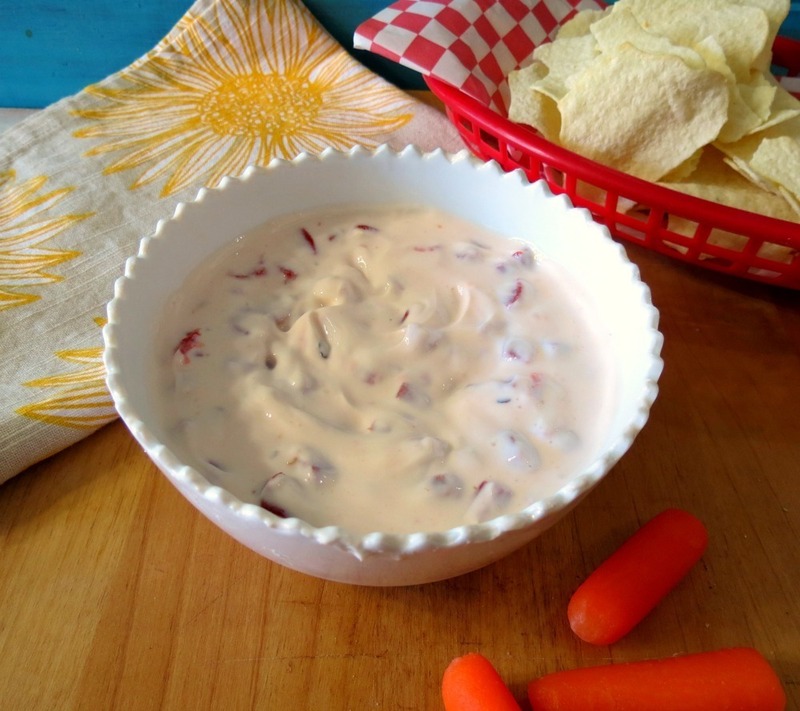 It’s light, refreshing, creamy and has the most wonderful roasted red pepper flavor without being overbearing. Best part you can make this just a few minutes. 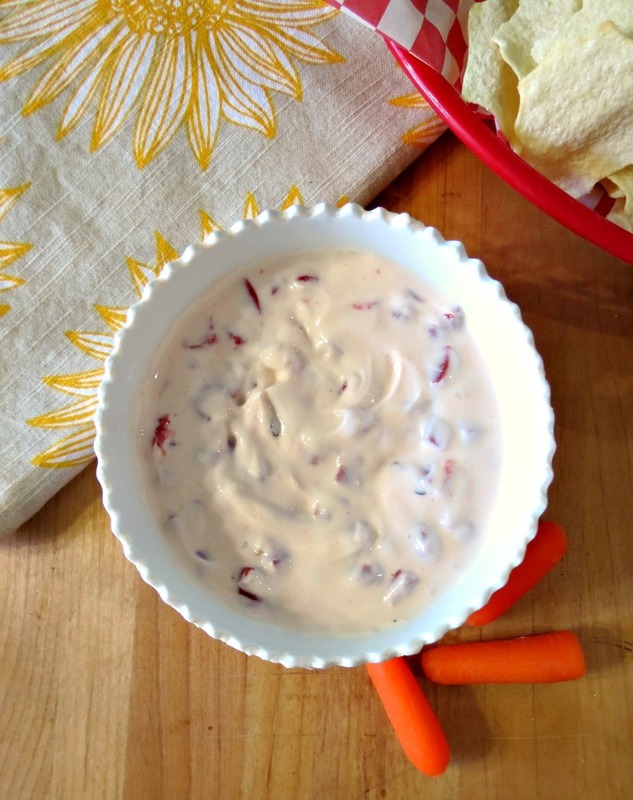 A healthy, creamy, guilt-free dip made with roasted red peppers and seasoning. Place all the ingredients in a bowl; mix well. Cover and refrigerate for at least an hour before serving. This is so the flavors come together. Note: If you buy the roasted red peppers, get the one that is packed in water, not oil. 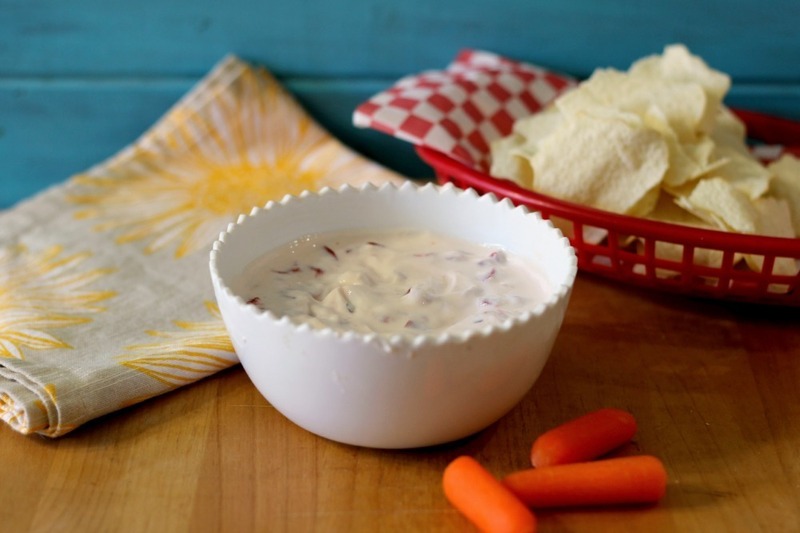 This dip is perfect for an afternoon snack, smearing on a sandwich or serving at party! I am sure it will be a hit! Well my Friends, off to bed! Homemade is definitely the way to go when it comes to dips! They put all sorts of weirdo ingredients in them. Love this roasted red pepper flavor! I agree, when you can’t pronounce it, it can’t be good!! I am a dip person…I actually start thinking about what dip I’ll have for a snack during the day right about now! This would hit the spot! I’m like you! I like dips, actually I am a huge condiment person! I love dips, hummus, salsa, dam anything I can dip a veggie or chip into! Simple recipe that would work with any veggies, especially pepper strips! YUM! Greek yogurt is so versatile! Ohhhh yah! Red pepper strips are perfect for dipping! This dip looks incredible! 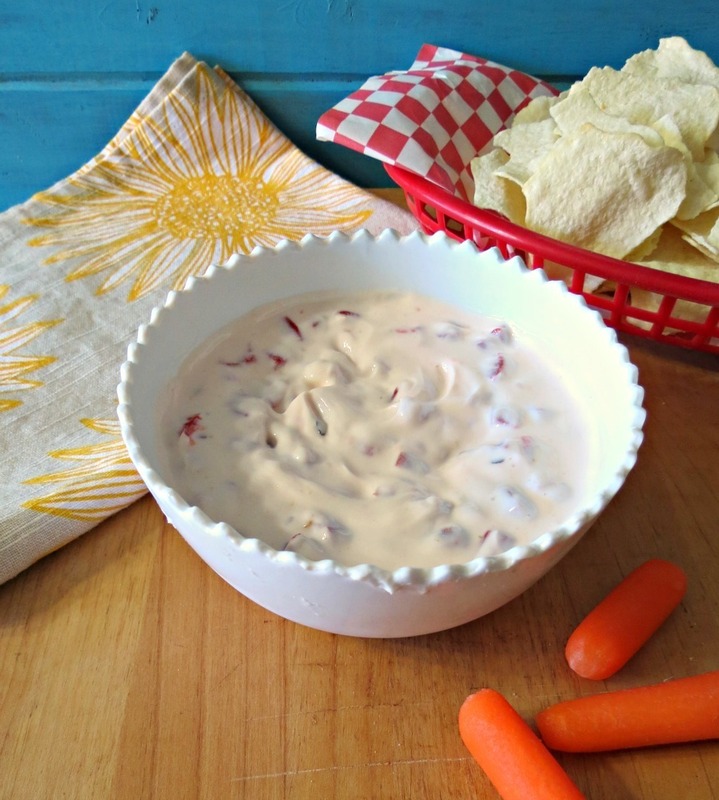 I always go for roasted red pepper hummus, but haven’t tried it in a yogurt dip. Yum! I love roasted red pepper hummus too! I go for that one or the jalapeno cilantro! Now you got me craving hummus! I can see this disappearing very quickly. I bet it’d be good with some feta whipped in too! Ohhhhh Erin! Feta whip would be great with this recipe!! I haven’t tried those dips, but yours looks so good! Ahhhh thank you Kristi! It’s perfect this weekends nail biting big game! Living in the city, it must be crazy with SF fans! Matter in fact I’m heading there on Sunday! Yum yum yum! I love roasted red peppers! Yum, Jennifer! This Mediterranean restaurant near me as a red pepper dip that I LOVE. Re-creating it at home as been on my bucket list for awhile. I really like your recipe, though, so maybe I’ll just make that and call it good 🙂 haha. You have to make red pepper dip, yours or mine, it’s so good and light!! Perfect for dipping! !